But leaving the place where precious memories linger is another matter entirely. When Gwen and I bought our dream home seven years ago, we expected it to be where we would spend our last days together . . . someday. We never thought that day would come so soon. I know she isn’t in that house anymore. I realize that her side of the closet hasn’t had her smell for five years now. I fully understand that her drawers have been empty and her makeup gone for a long time. But somehow, her memory is as fresh as ever. Walking out of the house for the last time is bittersweet. We lived life to the fullest in that place, and she made our house a home. But it’s time to invest God’s money where He wants it invested, rather than where I want to spend it. 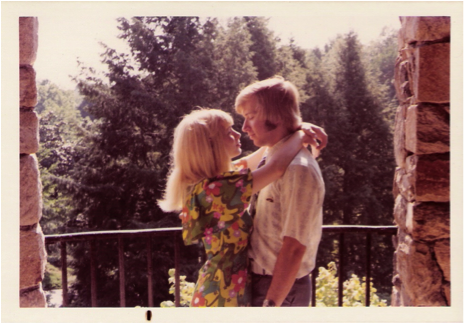 I had a decision to make—did I remain in my luxury mansion filled with memories of Gwen? Or did I follow God’s leading in my life, and sell the house to use the money to spread the Gospel? Before you get the idea that I am being pious, allow me to confess: I wish I could tell you that it was an easy decision, but it was not. I wish I could say I didn’t struggle leaving it all, but I did. I wish I were the spiritual giant who moves forward without ever looking back, but I’m not. It has been difficult, heartbreaking, and exhausting. More than once I wondered if I was making the right decision based on what my flesh desired. But even though it was our dream house and our dream future, God had other plans. The reality in which I take comfort is that God is sovereign. His plan is best, even when it hurts. Previous: MEN–THIS KEY TO LONGER LIFE MAY SURPRISE YOU!